Play Lost Island Slots & get lost in paradise.This 5-reel tropical paradise unfolds across 25 paylines, with free bonus rounds! Journey to the jungle in Lost Island Slots, and find your fortune across 5 reels. This slot machine has 25 potential paylines and tons of cute jungle characters to look out for. You’ll find wild tigers, coconut trees and exotic insects appearing across your reels as well as two key bonus feature symbols to keep your eye on. Lost Island Slots has the smoking Volcano as its Wild symbol, which can substitute onto any winning line and secure you a cash win. It can’t be subbed in for the Scatter however. The Scatter is the Mask symbol and if three or more appear anywhere across your reels you’ll receive 15 free spins and all prizes are doubled during this round. The spins can also be retriggered so there’s the potential to win tons of Island gold! Fancy some adventure in your slots online experience? 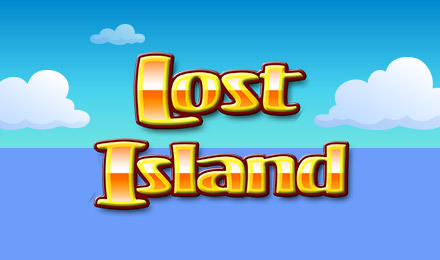 Lost Island slots has a few exciting bonus rounds and loads of free spins, making for a fun slot game choice for slot game lovers of all tastes.